I’m ready, I suppose. I refuse to do the closet swap out just yet (when you live in a small space you have to pack away your clothes by season). Especially because typically I’ll swap everything out and then it will either get really warm or really cold the following week and we won’t have the proper clothes (So maybe I should swap them so we have another week of warm weather)! Even though it’s a hassle to put everything away it’s a great way to toss out the clothes you didn’t wear all season (or for the past two…or three…and still can’t part with even though you didn’t wear it). I’ve been a bit scattered this week after returning home from Denver (where my bro-in-law WON an award for his Pilsner at Great American Beer Festival!!!?!?!). I think the fact that my schedule is still not set has me a little frazzled and out of it. I meant to do some cooking/baking and blog but I ended up cleaning my fridge (for 3 hours) and am still in the process of super-cleaning my house. BUT, I have made some time for this lately post because I miss you all as well as my routine (It doesn’t feel like Friday and my heart skipped when I realized it!). I hope you’re all having a great week and that you are mentally and/or physically prepping for the inevitable change of weather that is upon us. I literally feel like it was two months ago when I posted about pumpkin spice lattes but it was already a year ago. Crazy. How much has changed since then! Since I’m feeling in a fallish mood, here are some cozy things I’m loving on lately! 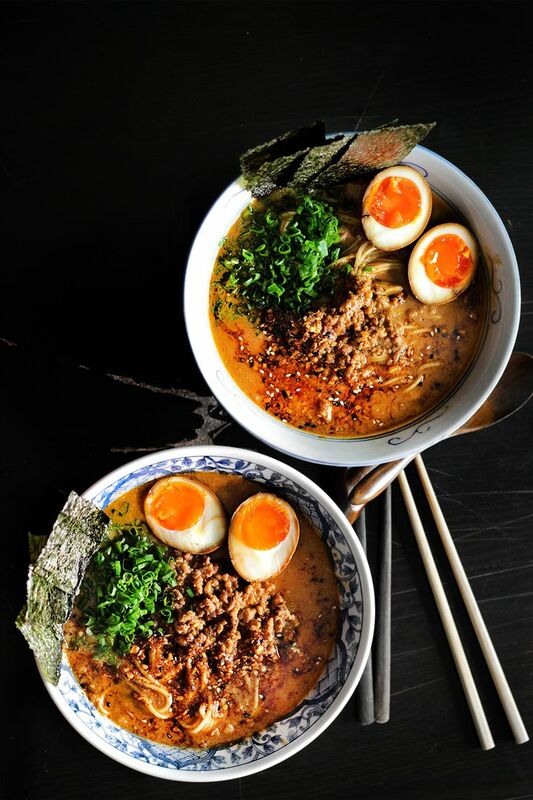 Ramen is of course one of my top favorite foods, and this recipe does not disappoint. I made this ramen last winter and the entire day of prep/cooking was well worth it. The fatty and funky broth is just the thing to warm your soul! I am actually wondering if I posted this same recipe in a lately post because I love it so much…oh well! Make it and enjoy it! 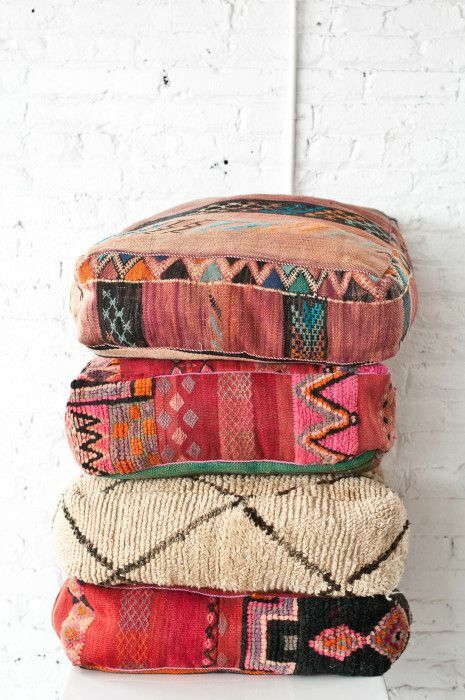 Mikey and I are slowwwllyyyy making our back living space into a more casual space and I think these Moroccan floor pillows would look amazing back there! Our house is pretty modern and so I feel like something with texture would help that room feel a bit more cozy. 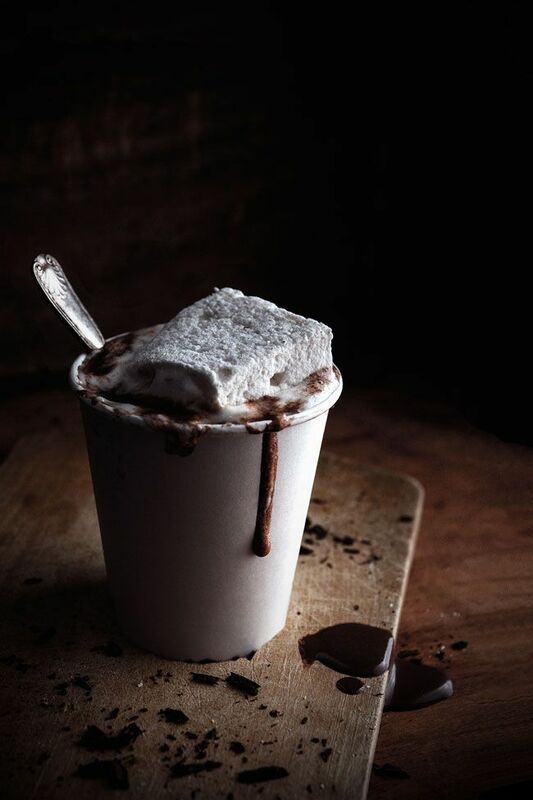 This recipe is similar to my decadent hot chocolate I shared with you last year. I love the dark edit of the photo as well as that giant marshmallow! Makes me want to curl up in front of a fireplace with a giant mug of this tasty hot coco. 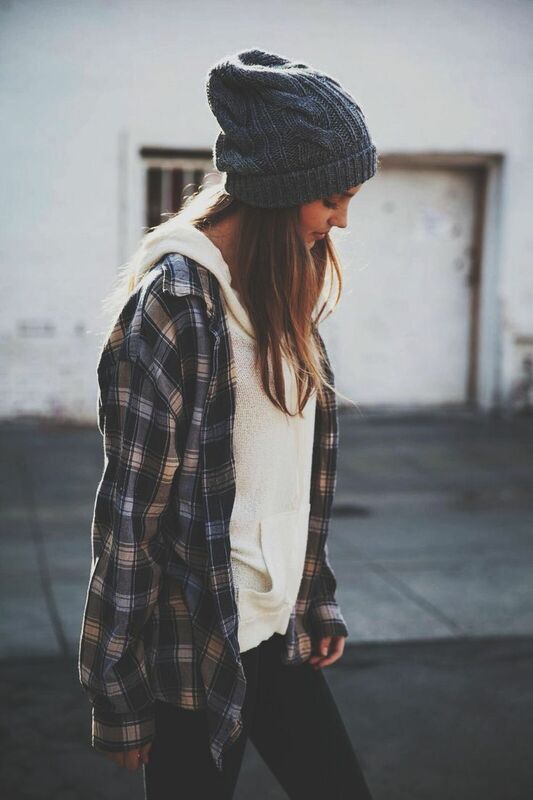 Flannel season is every season for me…but if you’re unsure how to style your flannel for the season, or looking to buy a new flannel, this guide shows you 15 different outfits to wear and sport your favorite lumberjack flannel. I love warm cheesy bread. Add cheese to a carb and voila, it’s my favorite. 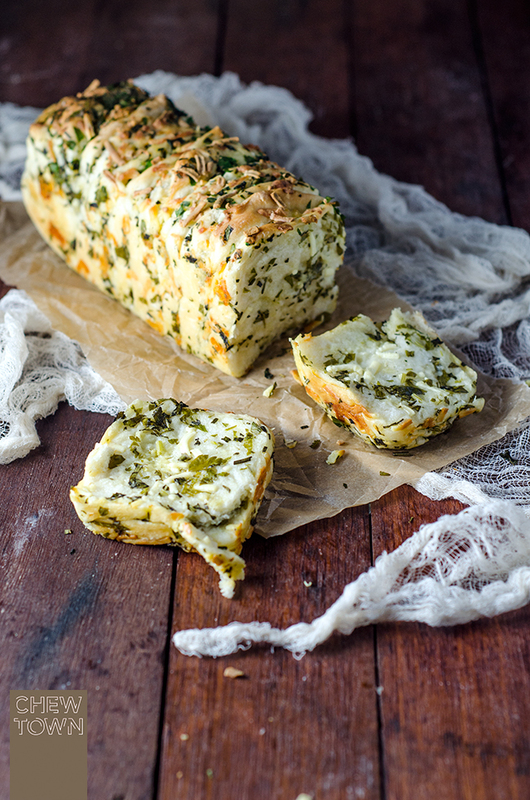 This garlic, herb and cheese pull-apart bread has my name written all over it. I would disgust you with the amount (the entire thing) of this bread I could devour. I’m hungry right now and all I want to do is mangia some cheesy garlic bread! This was my last full week of real-life work. If you would have told me 4 months ago after I finished my teacher training that I would actually be able to quit my job and teach full time yoga I would have hugged you and then punched you in the face. I’ll admit it was the goal/dream, but now that it’s the reality I don’t know what to think. It’s starting to sink in and I am so excited/fearful at the same time. There is excitement in the unknown. There are so many opportunities and I can’t wait to get out there and discover them. There is also so much fear of the unknown and failure. I have an incredible support system but my mind can be my worst enemy at times. Yoga has taught me so much, but there are times I can’t get out of my head and the doubt rushes in and I feel paralyzed in my own thoughts. Trying to practice what I preach can be the hardest thing sometimes! Mikey rolled his ankle last night and it totally brought me back to last year at this time when I had my sprain and was forced to be patient and take time to rest my body, which caused my head to spin temporarily. We get so caught up in what we should be doing, what everyone else is doing, or what they have and how we want it. It makes me so sad to think of the moments that pass by that I don’t even see because I’m thinking about what’s next. Mikey is doing well, btw. He’s an ankle-sprain veteran and we did the ice/ibu/air cast routine last night and he is now off to work (with a mad hobble). It’s amazing how it can take life bringing you to your knees before you actually open your eyes and take a look around. Sometimes we have to be forced to change our perspective in order to learn, grow and then take the next step. I’m so excited for this next step. I’m excited to bring you all along with me as well and promise to keep you updated on the good, the bad and the ugly. I’m sure there will be plenty of all of it! I hope you’re doing well, my friends. Thanks for the sweet notes, comments and encouragement along the way! This little blog has become a support system for me and I thank all of you so much for sticking with me! Cheers to the weekend! Lets look at some beautiful pictures of the things I’m loving lately! 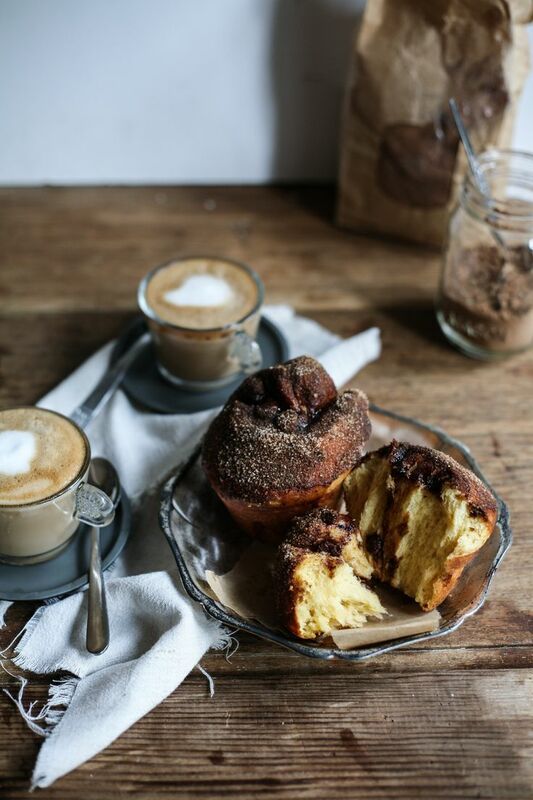 I found this beautiful food styling blog and fell in love with all the food pics, especially this yummy bun and coffee. There is nothing I love more than a buttery carb! 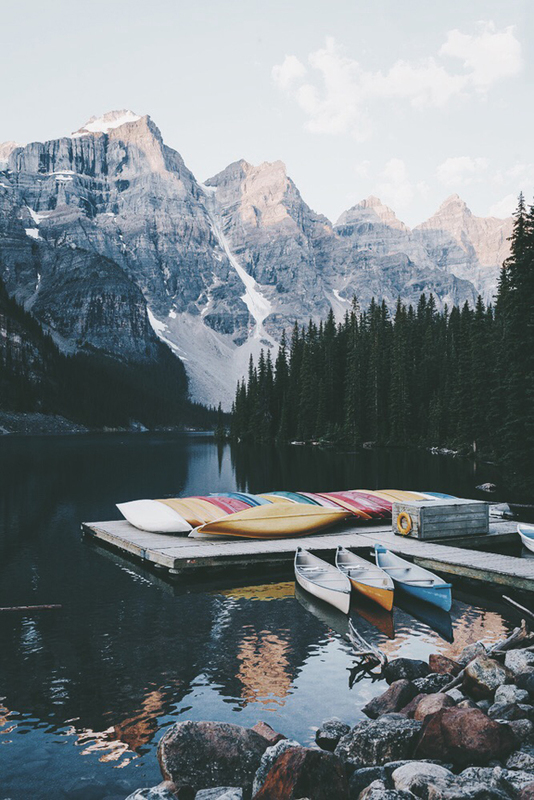 The mountains are calling and we have answered. Mikey and I are headed to Denver next week for our second annual trip to the Great American Beer Festival where Mikey’s brother will be representing as head brewer of Dry Dock Brewery. We are crossing our fingers for some medals for him and his team!! We are also looking forward to spending some time hiking, eating, and drinking amazing beer with family and friends! 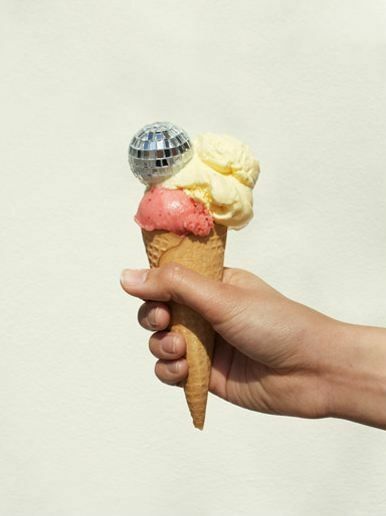 An ice cream cone with a disco ball on it. Love it. Do you think if you eat the disco ball you’ll poop glitter? Fall is coming. It’s still hot, but there is a slight breeze at night that suggests the change of season ahead. 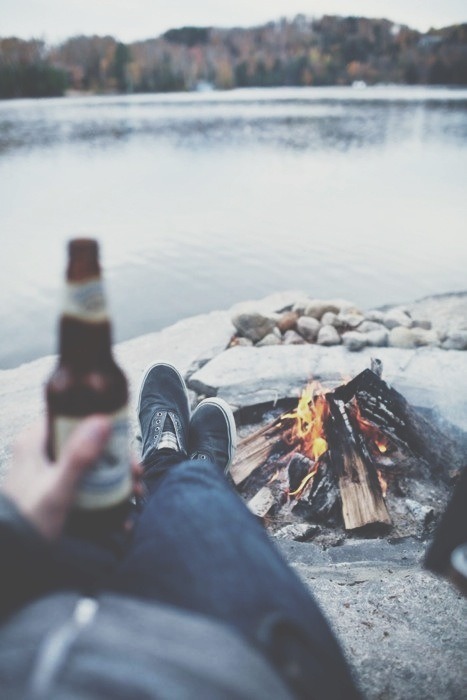 I’ll admit that I am ready for more sweaters/hats/fall beer…but I’ll also admit that I am not ready for sitting al fresco to end. I’m not ready for tanned shoulders and walking barefoot outside to be over….BUT, when it does end, I want to wear this outfit and go apple picking (so basic of me). Last but not least, homemade creme fraiche. With some figs and cheese and honey and things. YUM. These are almost too pretty to eat. Almost. Mikey and I celebrated our 6 year wedding anniversary last weekend. 6 YEARS?!?! It has been the fastest and greatest 6 years of my life! We are celebrating this weekend and I can’t wait to spend some time doing our favorite things together! I am also SO excited to spend some time baking and cooking in the kitchen. It has been WAY too long since I posted a recipe and I am so ready to get back in there and whip up some delicious recipes for you! 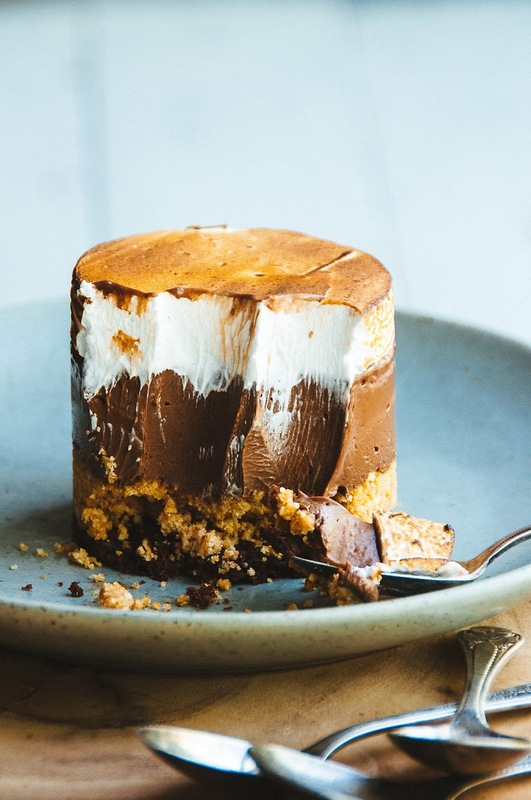 I don’t think I’ll make this S’Mores Custard Cake…but someday I will have this in my life. Look how absolutely stunning and downright perfect this little cake looks! I refuse to think about fall fashion/weather yet. So instead I am going to think about a cool summer night with this adorable outfit. You could swap the jeans for any color denim short and you would be good to go. You can buy this adorable hat from The Oxford Trunk by clicking on this link here! What do I love as much as a glass of bubbly? A glass of Rosé. 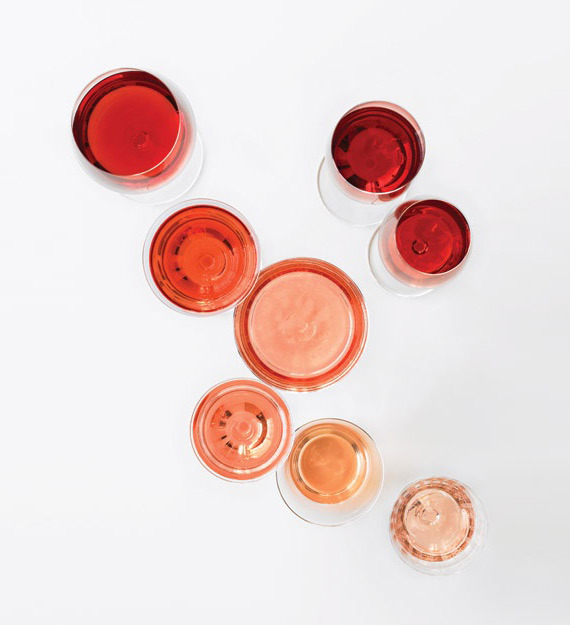 Check out this amazing list of summers must-have bottles of Rosé from a price point starting at just $9 all the way up to $50. You’re sure to please anyone if you serve them or show up with a bottle of this pretty, tasty vino! Mikey and I have been told by many that our wedding was one of the best parties of all time (honestly, I think it’s because we were young and fresh out of college so our friends just wanted to party for free). My Mom is a better version of Martha and let me tell you, girlfriend can throw a bash. I was young and had a few ideas which she made a reality x12. I don’t know if our wedding was necessarily the best party ever (I’m obviously biased) but Mikey and I always talk about how we would love to throw an anniversary bash with our friends and family back in the north woods of WI one day. 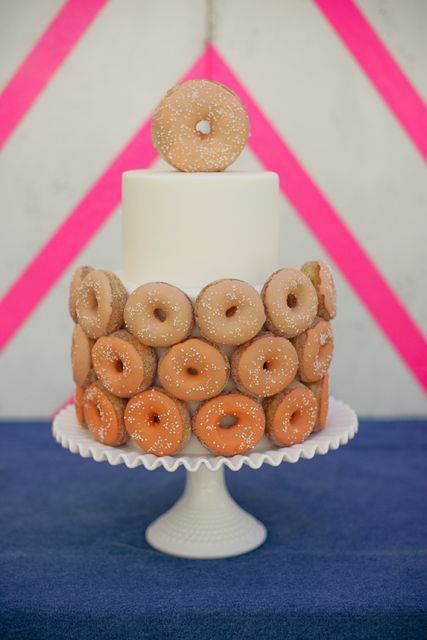 If we were to do it again, you better believe donuts would be on the menu if not a part of the cake like this cake pictured below. Maybe we can make a kickstarter to raise funds to throw the ultimate wedding reunion party in my hometown? I somehow feel like people are saving for their own weddings and parties though, ha! Maybe if I promise dancing, donuts, boating and champagne people will jump on board? 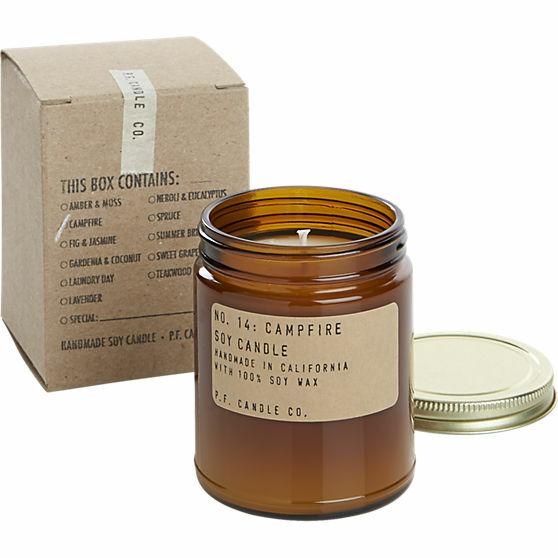 Summer is always too short, which is why we should stock up on this Campfire Scented candle from Cb2. 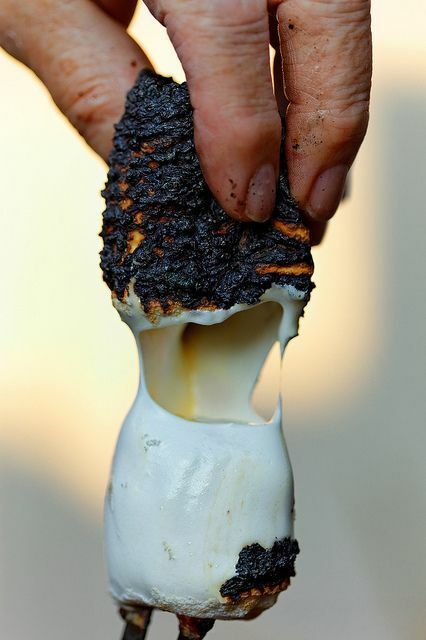 We can light this in the dead of winter and remember the warm summer nights that are ahead of us. I always love more masculine, smokey scented candles and I can only imagine how great this candle smells! How are we already nearing the end of July? Summer is always so amazing/busy and goes by soooo quickly! We have not had a relaxing weekend up at the cabin yet and we are FINALLY headed there. As you will see, my inspiration has been found in and around the Northwoods of Wisco. I’m so pumped to be up in the woods with family. My brother-in-law and his lovely lady are coming in from Denver and we can’t wait to relax in our version of paradise with them. 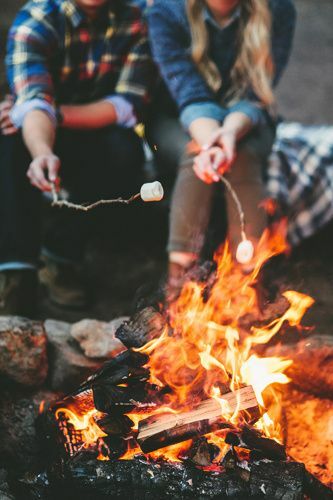 Beer, S’Mores, campfires, (too much) delicious food, canoeing the river and morning yoga alongside a glassy lake are the only things I need to make me happy. I love having no agenda and no expectations. Just what I need to rest my soul and reflect on the amazing summer we have had so far. We all know about my obsession with the company Poler Stuff out of Oregon. 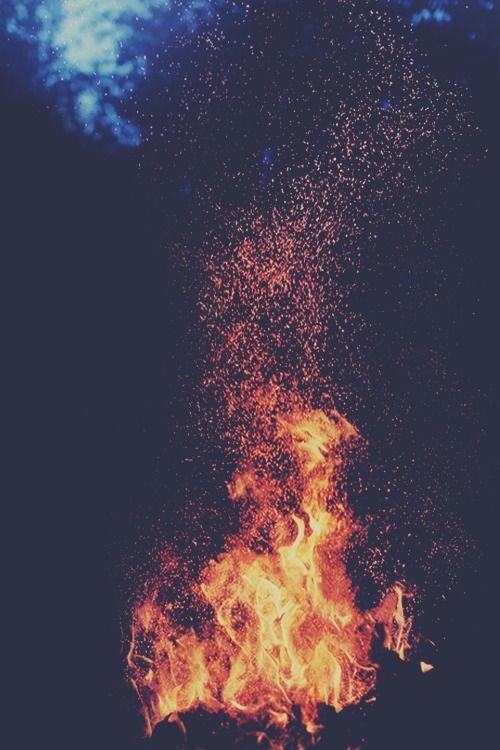 The following pictures are from their Tumblr page and I just love the way people capture their time in the woods. It’s so calming and magical all at the same time!. As I have mentioned before, Mikey’s brother is a head brewer at Dry Dock Brewery out in CO. His girlfriend is also in the beer industry and they sent us a list of delicious beers to bring up to the cabin. Along with their list, I added my favorite beer of the summer. It’s from 21st Amendment Brewery and it is their Session IPA. It’s SOOOOO GOOOOD. 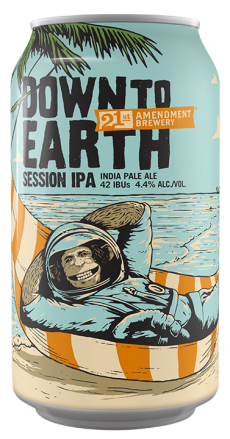 If you’re looking for a drinkable summer beer with some flavor, this Down To Earth IPA is your jam. I am so ready for some yoga by the lake. It’s going to be hot and sweaty, but what better way to cool off than to jump in the lake! Can’t wait. 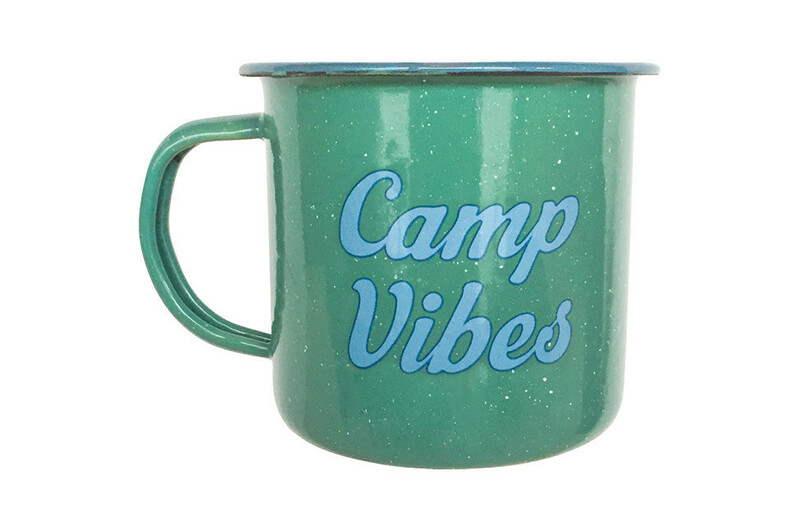 I know I sound like a broken record…but again, I love Poler Stuff and this mug comes in a set of two. I love the old school style and coloring so much! It’s just begging for some french press coffee! 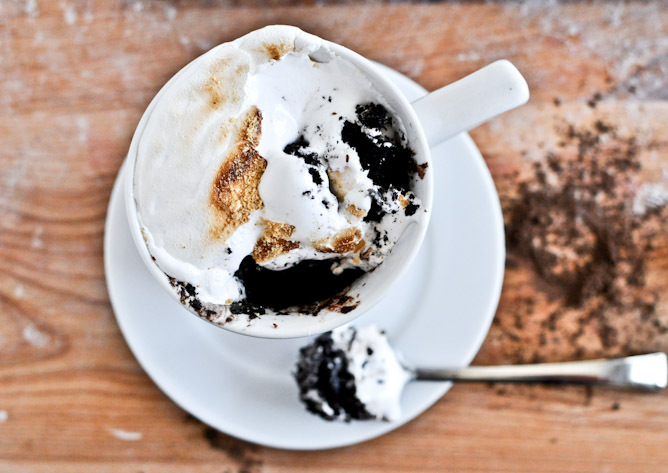 And finally, since one marshmallow picture isn’t enough…here is a 5 minute chocolate S’More mug cake from How Sweet Eats Blog...fast and delicious!!! My coffee making machine that I need to survive is broken. I am so sad. I tried to fix it and it didn’t work. Not only am I sad that it broke but I had to actually put on a bra and walk down the street at 7am to get a cup of coffee. I don’t remember much about the walk…I remember the sweet guy that always stands outside our Starbucks saying, “good morning sweetie,” which reassured all my feelings of my hot-mess status since he usually says “Good morning beautiful.” Needless to say, I kept my sweatshirt hood up and tried to avoid eye contact at all costs. I almost made it all the way up the stairs without spilling but tripped on the final ascent and spilled all over myself and the stairs. THE THINGS WE HAVE TO DO FOR COFFEE. I’m going to attempt to descale my machine one more time before I drop it from our 5th floor down into the dumpster while frustratingly yelling, “Byyyeeee” (Broad City anyone?). I’m sure my whining is exactly the thing you needed to hear this morning…NOT. It’s been gloomy and rainy on and off this week which has put me in a bit of a mood, if you know what I’m saying. I wasn’t sleeping well and taking out massive amounts of stress and crank on everyone around me. I woke up this morning feeling well-rested, appreciative and blessed for my life. So if you got caught in my death trap this week I apologize! The weekend is upon us and it’s Freakin’ Friday. I am flabbergasted by the fact that it’s almost July. It’s my favorite month of the year but it means June is gone and winter is coming (I’m a glass half full person, can’t you tell…). I am so pumped for the rest of the summer and time by the lake with family and friends! July is our time to hang with everyone and although I’ve loved how June has been chill, I’m ready for the crazy to begin! Lets talk about a few things I’m inspired by this week and loving for the summer months ahead. 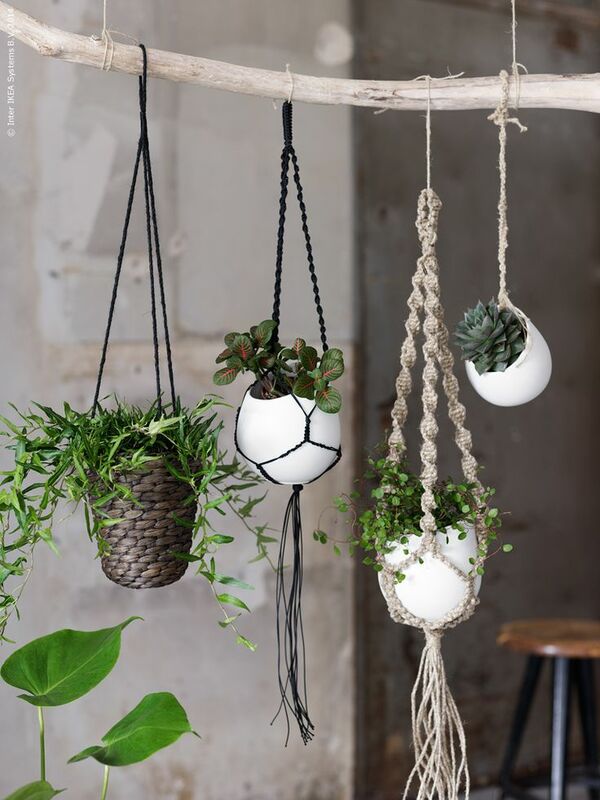 Starting with this awesome indoor hanging plant ‘sitch. For my bday I am asking for two things. Plants and yoga clothes. I’ve made a really important life decision about the year 28 for Bethany Evon. I’M GOING TO GROW SOME FREAKING PLANTS AND KEEP THEM ALIVE IF IT’S THE LAST THING I EVER EVER DO. I’ve killed so many innocent plants in the past and my goal is to get a big shrub/tree-thing and then a bunch of little plants to hang around the house (they will mostly need to hang because Norman is an idiot and eats them all). I do have faith because one of my besties, Megan, has a gigantic green thumb and brought me 2 pieces of her plants (or something like that). Literally, she just cut a piece off, planted it and brought it to me and they are still alive! I also got a geranium at her wedding shower and it’s hanging on…albeit by a thread. Any plant advice is greatly appreciated…I’ll keep you posted on what I end up getting and if it survives the year of 28! Summer is hot and I usually lose my appetite at night after long, sweaty days. I crave things like fruits and salads. 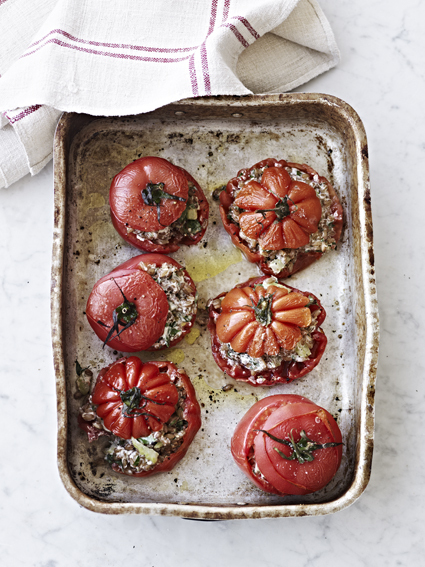 I love how beautiful and tasty these baked tomatoes stuffed with barley salad look. I would also stuff these with some curried chicken salad! Yummmm! 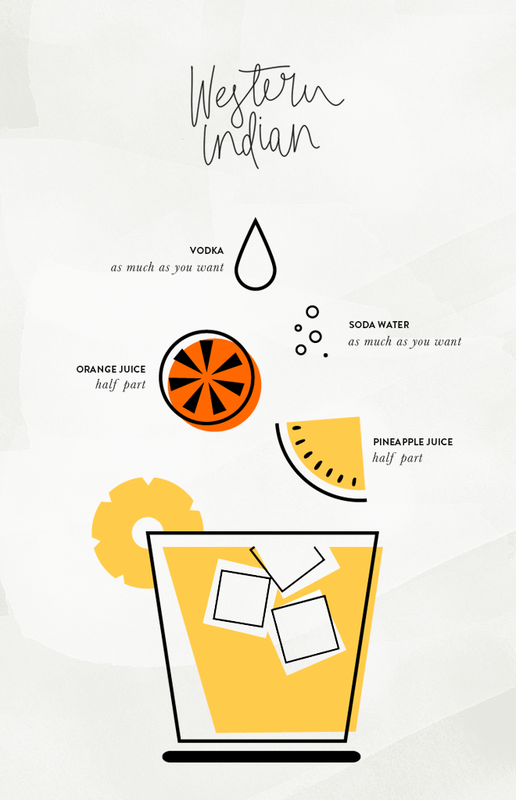 Light, tasty cocktails are what summer is about and I am obsessed with this beautifully illustrated recipe of a Western Indian cocktail! Summer = Sweaty Bethany…and grey shows no mercy when it comes to that whole situation…but I am absolutely in lovveeeee with this dress! Jean Jail is the website of my dreams. I love it soooo much and I’m so glad I stumbled across it. It’s affordable and has a lot of black and grey…therefore it’s perfect. I loveeeeeeeee cherries. I have such a vivid memory from my childhood of sitting on my grandparents dock and eating cherries with my Grandma. She brought down a giant bowl of cherries and showed me how to pull off the stem and spit out the seed. I remember she spit the seed into the lake and I thought it was the funniest and coolest thing I had ever seen. My grandma is such an amazing woman and I cherish those memories that have lasted through the years. She is the most loving, funny and Godly woman who would take in and love any soul in the world without hesitation. Growing up with such an amazing lady across the street in my early years made such an impact on my life. Either way, I still love to eat them and spit out the seeds…preferably in a lake somewhere warm! 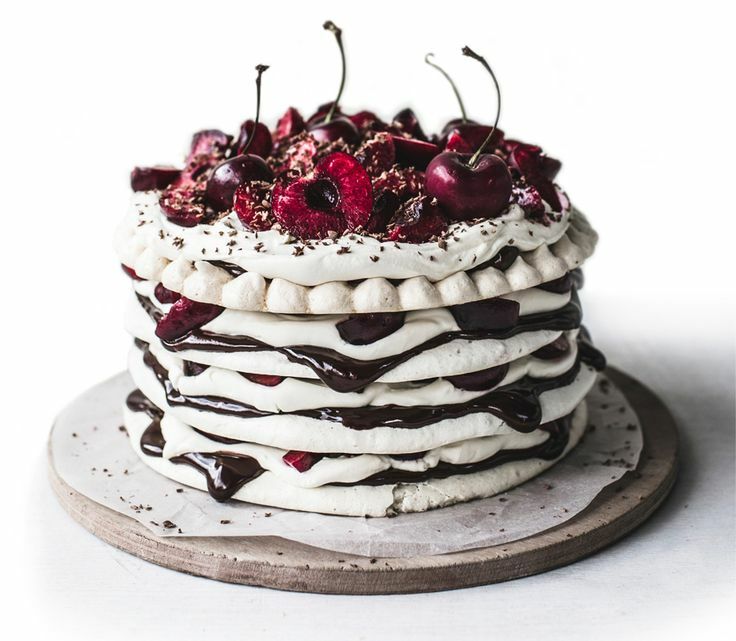 Also, this cake is really pretty and those cherries look perfecto! That’s all for this week! Have a lovely and safe weekend my darlings!